The unofficial winner for the award of “Name Most Commonly Mispronounced in a Book Series When You Were a Kid” almost had a completely different name. 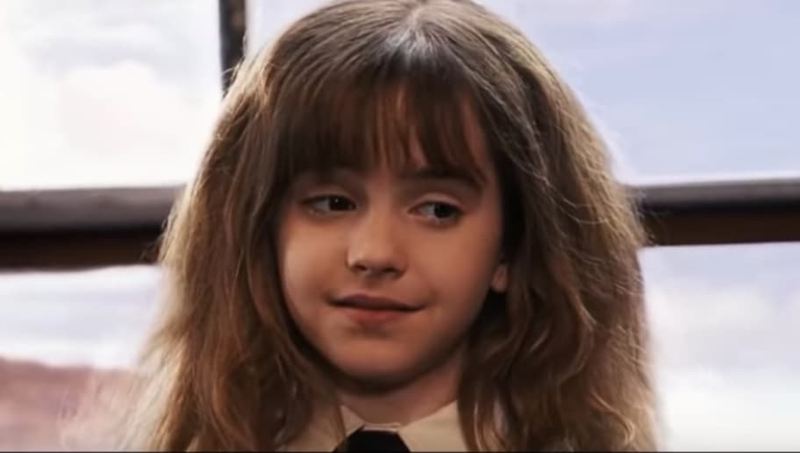 It was revealed that J.K. Rowling almost named our favorite young witch Hermione Puckle instead of the now famous Hermione Granger. The last name was swapped out in late drafts of the first book for the last name we have all come to know and love, and it's hard to imagine our young role model having anything about her character changed. In another interesting development, Rowling revealed Hermione was supposed to have a younger sister--but once the series got going, the idea never came to fruition. Hermione’s iconic first name comes from Shakespeare’s The Winter’s Tale, in which the Queen of Sicily is named Hermione. The name originates from Grecian roots, and means “well-born.” This meaning seems to be even more relevant when you look at Hermione’s character arc in the Potter series--she is often made fun of for her muggle, or non-wizard, parentage, but proves everyone wrong by being a top of her class student at Hogwarts. It’s as if Rowling used the root of the name Hermione to create a commentary on the fact that it does not matter where you came from, but what you do with your talent and skills. We wouldn’t change a thing about Hermione Granger, and we’re certainly glad Rowling went with her second thought and altered her original name.